The Ask HJ section, while forever busy, changes with the seasons. 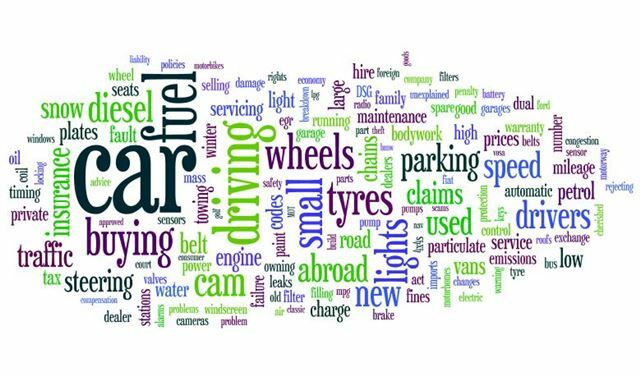 Winter is all about heaters and cold-weather tyres and early summer sees an increase in the number of questions about air-conditioning – so through the 12 months of 2012, what have been the biggest topics in Ask HJ? During January, when the nights are still long and the weather is still cold, we had a fair few questions on winter tyres and 4x4s, but the most common queries related to diesel particulate filters. The majority of these queries came from concerned buyers rather than those who have actually suffered from a diesel particulate filter (DPF) failure – but prevention is the best cure, says the doctor. If you’re buying a diesel car the best advice is to consider the way you’re going to use it. Diesel particulate filters remove soot from exhaust emissions but in order to clear themselves out and regenerate they need to reach a high temperature. Short journeys around town won’t allow the engine to reach those temperatures, so unless you make regular trips on motorways and A-roads a diesel with DPF is probably best avoided. February, much like January, saw a number of DPF related queries, along with plenty on warranties and reliability. Buyers rightly want to know about their rights when something goes wrong with a newly purchased car, so you can read our FAQ on the subject by clicking here. Most months get a fair share of odd questions and February saw one from a reader whose Vauxhall Insignia radio would cut out at the same point on the M1 every time. It’s not something anyone else reported and HJ put it down to electromagnetic interference. Perhaps there’s a Bermuda Triangle near Northampton. The most common topic during March was downsizing – a common trend throughout 2012. Smaller cars are usually more efficient and so subject to tax breaks, along with cheaper fuel costs. Not only that but they’re cheaper and usually almost as practical as larger, pricier cars, so it’s easy to see why so many people are considering one when the time comes to buy. March also saw a number of readers asking whether petrol or diesel is the most sensible choice for their use and an increasing number of HJ’s responses suggest that petrol models are the ones to go far, thanks to improved efficiency and cheaper running costs. As the spring started it became ‘service as usual’ in the Ask HJ section, with fewer questions related to the season and more about usual motoring matters, including technical issues, buying advice and warranties. There was a fair few queries relating to automatic gearboxes – many readers need an automatic car and can’t decide what to pick. Oftentimes readers want a traditional automatic with a torque convertor, rather than a more modern dual-clutch or an automated manual. Sometimes dealers won’t have automatics in stock for test drives, so if you’re buying blind it’s a good idea to ask what type of automatic your car is going to have. As the temperatures rise so do issues with boiling coolant, and so May saw a hike in the number of questions about cooling systems. Responses to cooling issues vary, but often vanishing coolant can be attributed to airlocks. The best way to avoid problems is to regularly check the coolant level – regardless of the age of your car. There are also questions from people preparing for summer tours, including one from a reader with a rear-drive car used to tow caravans over wet grass. HJ recommends Vredestein Quardrac all-weather tyres to improve traction, but they have to be fitted to all wheels, not just the rears. Key related questions were common in June, although it’s difficult to attribute the increase in queries to anything in particular. Most came from readers whose electronic keyfobs had given up the ghost and either needed recoding or a new battery. HJ’s advice is to visit a high street key-cutter before a main-dealer, in order to save a bit of money. There were a few days of bizarre weather in June so there were some insurance related queries. One reader wrote about his BMW, which took such a battering in a freak hailstorm that every panel was dented in some way or another. Cooling systems continued to cause problems for readers during July, as did queries about consumer rights and maintenance. Bizarrely there was also an increase in the number of questions about cars that won’t start, whether down to flat batteries or starter motors. This is unusual, because it’s normally cold weather that causes starting difficulties. There was also a swell in the number of questions related to scams. They range from insurance problems to offshore buyers and sellers offering strange terms for purchasing a used car. If an offshore buyer or seller has complicated terms and requests money via an unusual payment method the best approach is to ignore them. August was a fairly standard month in Ask HJ, with nothing unusual appearing in the trend list. There were a lot of questions on diesel particulate filters again, along with plenty of queries about maintenance and servicing. One reader asked about removing a DPF. Some garages will take a cars particulate filter out and replace it with more simple exhaust system, which seems like a cheap and easy way to avoid problems with particulates clogging up the filter – unfortunately, though, it will result in an MOT failure and isn’t a wise move at all. Generally, September was a typical day for Ask HJ, with plenty of feedback from readers and a broad range of topics. A few winter tyre related queries from more well-prepared readers started to roll in, alongside plenty of very summery questions about faulty air-con. In order to keep an air-con system healthy it’s important to use it regularly, even in winter. Just running it for a few minutes no matter what the weather will make the refrigerant last longer – and if the worst come to the worst it’s fairly cheap to recharge an air-conditioning system at a garage. October saw the winter tyre queries start in earnest. Buyers concerned about the always scary long term weather forecast rather sensibly started writing in with queries about whether or not to buy winter tyres, and if so what size to fit and what brand to choose. Size aside, winter tyres are very effective. Not just in ice and snow, but in all conditions below 7 Celsius. Standard tyres become firm and offer less grip at low temperatures, whereas winter tyres remain flexible. They’re even a good idea for drivers of all-wheel drive cars. Winter tyre queries continued into November, a month which saw more legal and consumer advice related questions than is typical. A large number of consumer related questions over the year are about parking fines and tickets, but there are plenty on everything from warranties to insurance. Some of November’s questions focused on liability, whether following a crash or for repairs to faults or damage. It’s often difficult to ascertain who is liable for the cost of a car repair and it can be a long arduous process. Click here to read a selection of questions about consumer rights and insurance. As the year winds down and everyone prepares for a Christmas break the Ask HJ section tends to become quiet, but there are still a fair few questions. Winter tyres continue to be a hot topic throughout the colder months and this year we saw plenty of questions about technical issues. Warning lights has popped up as a trending topic in the December Q&As, with readers asking what different warning lights mean. Sometimes it’s difficult to diagnose problems from a flashing light, but luckily we have Alan Ross on hand to help with technical issues and help readers fault-find.